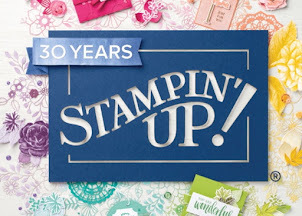 The last couple of days have been filled with the early preparations for the 2008 Stampin' Up! convention in Salt Lake City, Utah. Yesterday morning (very early morning) I was able to register for the convention itself with no problems whatsoever. Today when I went to register for a hotel room, it was a little different story. I didn't plan on missing out on the room blocks for the hotels nearby the convention center, but it happened! It began with no link on the SU! website for registering for the hotels, and then within 30 minutes of it being posted, all the blocked hotel rooms were gone. Thankfully, my dear hubby saved the day by finding a hotel with a room and booked it for me. So, now I just need to get the creative juices flowing and start to think of what I'm making for swaps. I won't start them until after the retiring stamp set list is posted July 1st, though. I'll post more tomorrow and make sure to include at least one project!